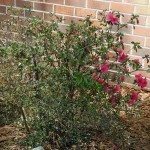 Why are my azalea bush leaves dying? The limbs have become really black and brittle and the leaves are turning yellow and dying. Azaleas can have a few issues. Check watering. If to dry in the summer heat it may need more watering. To much water can cause fungus and root rot. Insects and fungus can be an issue. I would treat the plant with Neem OIl, this acts as both an insecticide and fungicide. Here are a few links for you that may help you pinpoint the issue.